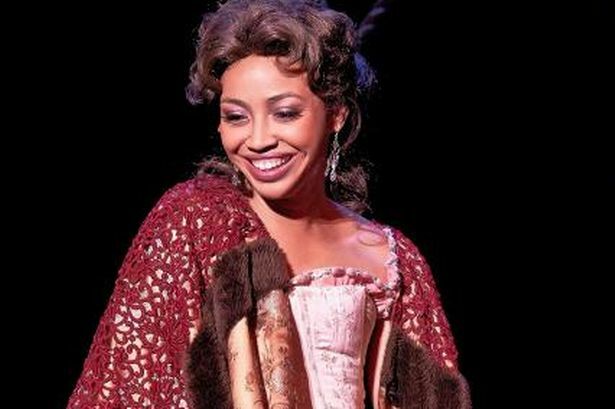 Opera singer Lynelle Kenned (soprano) is one of South Africa’s rising stars. She made her musical theatre début last year in SA icon, David Kramer’s adaptation of Willy Russell’s Blood Brothers and continues to make her make mark in the theatre world. With experience as opera singer, actress, TV presenter, MC and motivational speaker, there’s more to expect from her. We sat down with Kenned to put answers to our many questions and to discuss her upcoming role in Cape Town Opera’s Le Nozze di Figaro (The Marriage of Figaro). Please give us a brief biography of your life. I come from Paarl, a very close knit community. I’ve always had a musical background. I’ve been playing piano since the age of six but I never thought that I would have music as a career or be an actress. Up until then I did maths, science, biology and did quite well and thought that I would go on to study medicine or something. But after Matric I studied Opera at UCT. So medicine was the other alternative? Yes but looking back at it now I don’t think I would have been happy. I think if I wasn’t doing this then I’d probably want to do something else also in the arts or something creatively stimulating. 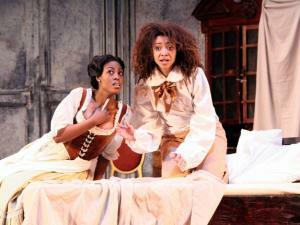 You are about to perform the role of Cherubino in Cape Town Opera’s upcoming production of The Marriage of Figaro. Are you excited? This was one of my first principal roles when I was still a student, so I’m actually revisiting the role. It will be the fourth time playing Cherubino. He’s a 13 year old boy who’s very high energy. He jumps out of windows and hides under furniture and he’s all over the place so it takes a lot of physical energy to commit to that. I was younger when I first did this so I just need to get myself back in that headspace! You’re an actress, you’re a presenter, you’re a singer… how do you prioritise? I enjoy presenting and MCing, but being on stage and making glorious music is absolutely my first love. Luckily the presenting is a freelance thing and can work around my schedule. I’m young, I’m not married and I don’t have children so I have time. But the stage wins everytime. I consider myself a singing actress. I trained in opera and I still work with Cape Town Opera but I’ve also ventured into musical theatre. Last year I joined the Blood Brothers cast with David Kramer, and I was doing that for a year. And how was that? You were in the chorus in the first season in Cape Town and then played Mrs Lyons in the last season. Did you enjoy working with David Kramer? Oh yes! I’ve been a fan my entire life. When I was five, my parents bought me a pair of red ‘vellies’ and I loved those shoes! I walked everywhere in them. I knew David and to work with him was an amazing opportunity. The production gave me the opportunity to develop my acting skills because in the opera school, you mostly work on your voice and then the drama is kind of secondary. But with musical theatre the acting plays a way bigger part. This has clearly been a busy couple of years for you. Was there any moment in particular that you look back on as your big break? My next year is basically filled up with productions already. And I’ve just signed for a couple of major things…. but I can’t tell you about them yet! Absolutely. Everyone in my family sings. It’s what I remember growing up. I have a sibling so the four of us sing music like four part harmonies. My father plays piano, my mother plays violin, my brother plays guitar. There are four that I can play reasonably well. The piano, violin, cello and recorder. There was always just noise and music in the house and it was the most normal thing. Every little ‘gesin’ in our family has a piano in the house. It’s like having a fridge. And yet going into the industry never crossed your mind? I didn’t think it was an option for me really. You hear about struggling musicians all the time! Do you have any other talents, interests or hobbies? I’m a gamer! If I had a TV, I’d have a playstation and I wouldn’t get anything done, it’s awful. Very often if I find myself with a week off I’ll spend two days just gaming away. I like playing Assassin’s Creed, God of War is one of my favourites, and Ratchet and Clank. I actually walk around with a little bag of arcade coins. I don’t go to Canal Walk to shop. I go there to maybe have a nice meal with one of my friends and then I’ll end up at the games. I do like being outdoors though. I’m trying to find more time in my schedule to just be outdoors and go hiking. I like Elephant’s Eye in Tokai and I’ve done Lion’s Head a couple of times. Or just going to Paarl and being “rustig”. Do you have any role models in the industry? South African roles models specifically. I have a lot of respect for Jo Anne Strauss. She’s such a wonderful person and has family values and manages to wear all these different hats and be a success at everything she does. There’s a real sincerity to her and generosity of spirit. How do you feel about not having many coloured role models in this country? I think race is still such a big issue everywhere really. When you look at role models, you tend to identify with somebody who comes from your own background more closely than with somebody who grew up differently. It doesn’t influence your work ethic but it can play a role when you are being cast in a production. It’s not so much about what you represent but how you can represent the character. Does race ever count against your in terms of casting? The demographic in this country is more black and white. Do you find there are limited roles for you as a coloured actress? Sometimes yes, but as a race we are actually very fortunate because we come across as very ethnically ambiguous. Depending on what you are asked to do, you can actually get away with a lot unless they are specifically looking for a white or a black person. I think we are chameleons more than anything else. What do you feel about the South African entertainment industry? You’ve been involved for several years now – how has it changed since your involvement? When it comes to opera, with the amount of talent that we have in this country, we don’t have to feel inferior to any part of the world, but Cape Town Opera for instance isn’t getting any funding from the government. There are a lot more collaborations happening between fashion, drama, dancing and all but there is a lot still to be done to develop upcoming talent, even in an established company like Cape Town Opera. They just aren’t getting the support they need to thrive. That’s why they are forced to do so many international touring productions because the majority of their revenue comes from touring projects overseas. They are in demand there! Do you like being involved in touring shows? The arts here are basically the bottom of the food chain but when you go abroad, being celebrated for excellence and for being different, it’s a whole other package that you offer the international stage. We’re coming from South Africa and they love that! I enjoy being on the road and sharing music but I never want to move. I’d love to make Cape Town my homebase and always come back after travelling. I believe it’s the best place to be and live. 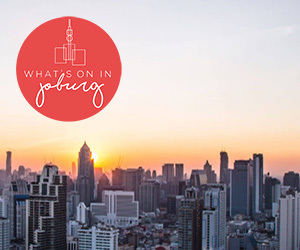 What do you like most about the Mother City? Any favourite places? I think a trap most Capetonians fall into is that they think they have all the time to explore the city so they put things off. I dated a foreigner, and he was here for a year, so I became a tourist in my own city discovering things with him. You can go half an hour in any direction and the scenery changes. I love the beaches, the mountains, the places you can go wine tasting. I prefer secluded places as opposed to crowds even though I’m a people person. I don’t like malls that much, I don’t like shopping. I prefer going to the countryside. I like Noordhoek, Muizenberg, the winelands. I have to dress up for the stage and when I don’t need to see people, I can just be in my own space. I like walking around in pyjamas, with my hair crazy and not wearing makeup. And I want to be in spaces where I can do that. So you won’t find me going for cocktails in Camps Bay. I’d prefer to have an amazing conversation with a friend as opposed to dancing the night away at the hottest club. Are there any actors, singers, directors you’d like to work with? I have such respect for Vinette Ebrahim – I bawled throughout My Naam is Ellen Pakkies. And I’m an incredible fan of Adele because she has that sincerity and it’s not about the theatrical side. I think Beyonce is amazing too but I wish that she would sing more because she’s such an amazing singer but she does the whole being queen of the pop world thing. You can’t always plan things. The universe just has a way of making things happen. I’m really having the time of my life and as long as I can do this, I’d love to do this. I’m looking for an opera singer on 19 Dec for an hour (from 19h15 to 20H15). Please advise whether you know anyone? The location is in a guest house in Higgovale (Cape Town), below Table Mountain.